Kirby-Smith Associates is unique as a top national firm offering the widest option of capital campaign services. Kirby-Smith Associates, Inc. conducts capital campaigns based on in-depth financial expertise, and a range of consulting and fundraising programs that lay a firm foundation for the future financial health of your Christian community. Kirby-Smith Associates is unique as a top national firm providing the widest options of capital campaign services. We raise amounts well over annual giving levels without high-pressure tactics and, normally, well above our competitors, because we reach out to all members and serve every campaign to the complete satisfaction of the clients we serve. Kirby-Smith Associates joins with you as partners. Our goal is your success. We raise the most money, the best way — the stewardship way. We offer a variety of different capital campaign approaches to reach out to your members to ensure your success. 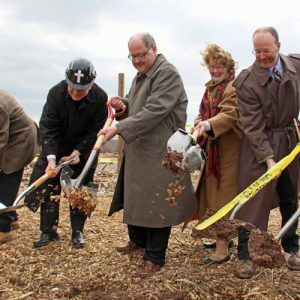 We also provide consultation and church growth assistance to include feasibility studies, along with our capital campaigns; we provide assistance with your on-going stewardship efforts, and church growth needs. We begin by assisting you to develop a clear vision that defines the compelling reasons why someone would give to the capital campaign. We work to bring the vision alive in the hearts and minds of your members, so they will consider a gift of sacrifice and not simply convenience. We recommend conducting a Feasibility Study to set a realistic goal for your capital campaign — a goal that is attainable and one in which members can see success and are willing to give as they can to meet the needs outlined in your vision. Our proven campaign process, which maximizes your results and energizes church volunteers, is the culmination of more than 75 years of experience providing more on- and off-site services than any other firm. We assign a campaign consultant to work with church leadership but use a team concept to ensure wise use of volunteer time. We shoulder most of the organizational and administrative responsibilities, thereby affording our clients the opportunity to focus on customizing a campaign to their unique needs and limit staff time. The company’s success is a testament of our unique ability to combine the vision of your faith community, the commitment of your people, and the empowering work of the Holy Spirit to deliver a successful campaign. Please complete the contact form on our website or call our toll-free number for additional information or to arrange an in-person presentation of our services. A presentation normally takes about an hour, but can be fit into the timeframe you desire. There is no obligation or cost to the church for an initial presentation. 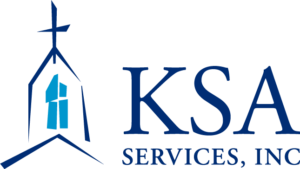 KSA Services, Inc. provides a full range of planning and development services to a variety of Christian communities and schools, along with charitable organizations to meet their capital fundraising needs and/or annual giving. KSA Services, Inc. also provides the experience and skills needed to assist with church financial and management consulting services within the context of improving organizational management; services range from finances, to human resources, to working with staff and volunteers. KSA Services, Inc. also provides pledge redemption services for our capital campaigns. Full Service Media & Marketing provides graphic design and marketing services. This division helps our clients strategize and develop effective materials that communicate their message through graphic design, print materials, websites, video, social media, and mailing services. To receive the details on our services for capital campaigns, please contact us.